IHeart Organizing: IHeart: Wall Organizers & a GIVEAWAY! 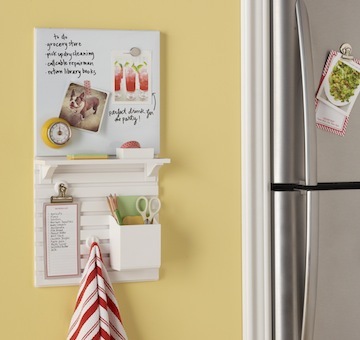 13 IHeart: Wall Organizers & a GIVEAWAY! It's no storage secret that utilizing vertical space makes you one smart cookie. Especially when space is small or limited. It's also no secret that I am a huge fan of the Martha Stewart organizing products from Staples. Pair Martha Stewart organizers with the need for wall storage and you have something amazing on your hands! Free your counters of clutter with the Wall Manager system from Martha Stewart Home Office™ with Avery™. This versatile collection of boards and accessories is easy to install and allows you to mix and match pieces to create a customized system that fits your needs. Installing the boards is fast and easy with the quick-install mount and built-in bubble level. Accessories snap securely into boards using the Click+Lock mechanism, and each mount can hold up to 10 pounds. Pieces in the line come in chalk white or graphite to coordinate with your home décor. With its clean, modern design, the Wall Manager system can be used to bring order to a variety of rooms, including the home office, kitchen, bedroom, or mudroom. 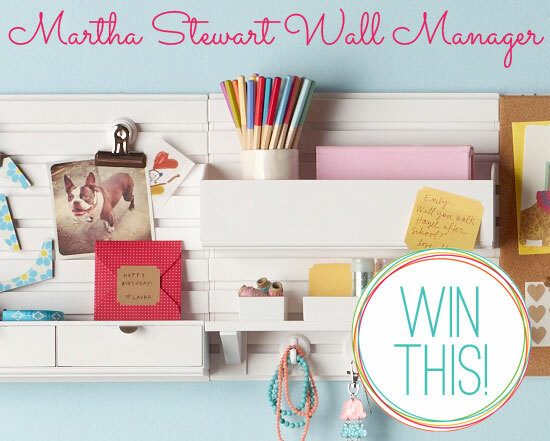 Now you can take advantage of your walls and get organized at the same time, thanks to the Martha Stewart Wall Manager, because today I am giving one away! ok, done ! i don't have instagram... is that a problem to enter the giveaway? thanks! I really need to manage the paperwork that comes into my house better... things are always getting lost! Love the black one. Would look great in my kitchen. Would also help my family remember where I am!! Quick question: do you send an email out to the winners or do we have to come back to check this post and get back with you if we win? If we have to check the post I'm wondering if I've ever won something from your blog and just never checked! I hope not! :) Love love love your blog! Done. 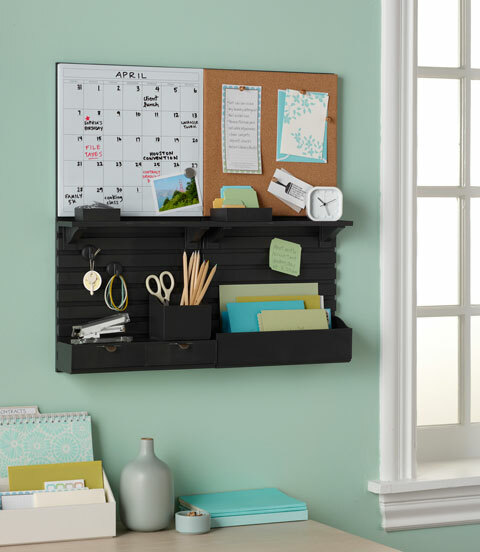 That is one nice looking wall organizer. thanks for having another great giveaway!! I just completed all the entries but wanted to let you know that my instagram account is under my blog name of Gingham Cherry not my actual name. Fingers crossed! I need to better manage my home business. I always fall behind on the paperwork. this would be awesome... love her products!! envy them every time I go into Staples also!